EMRO Vaccination Week celebrates and promotes immunization for people of all ages through advocacy, education and communication activities. As part of an annual region-wide initiative, MSD Egypt announced its support of EMRO Vaccination Week; launched by the World Health Organization (WHO) Regional Office for the Eastern Mediterranean and partners. As part of their support for this week and highlighting their ongoing dedication to raising awareness of key disease areas amongst Egyptian citizens, MSD hosted a media roundtable at the Fairmont Nile Towers in Cairo to discuss the importance of vaccinations and how they work. EMRO Vaccination Week celebrates and promotes immunization for people of all ages through advocacy, education and communication activities. EMRO Vaccination Week was launched with the goal to protect all people at risk against vaccine-preventable diseases. This year EMRO Vaccination Week will take place from 24th- 30th April, with the theme of 'reaching every community.' As part of this theme, MSD Egypt will be focusing on raising awareness of rotavirus, which kills around 650,000 infants across the region each year , making rotavirus, a serious threat to the health and longevity of Egyptians. Talking about the importance of vaccination and its ability to save lives, Dr. Moustafa Mohammady, Vaccinations Centre Manager at the Holding Company for Biological Products and Vaccines, VACSERA, said "Every year 3 million lives around the world are saved as a result of childhood immunization. Many diseases have been eradicated or severely reduced as a result of immunization. Vaccines not only save lives, but also help ensure a prolonged and better quality of life, reduce hospitalizations and lessen the financial burden that patients and local community's face, as a result of treating immunizable diseases and the complications and disabilities they can lead to. Despite the life changing impact vaccinations can have on Egyptian society there is still such limited awareness on the need to be vaccinated against diseases like rotavirus. This is something we are working to change, with the help and support of the media and our counterparts. Already, there are two vaccinations against rotavirus that VACSERA offers in Egypt; one which requires three doses and protects against five main stereotypes of rotavirus and offers up to 95% efficacy, and another which requires two doses and protects against one stereotype of rotavirus." Adding to Dr. Mohammady's comments, Dr. Ramsey Morad, Managing Director, MSD Egypt, said "EMRO Vaccination Week is an extremely important initiative, which MSD Egypt is proud to support. MSD has more than a century of commitment to vaccine development, and has played an important part in the reduction of vaccine-preventable diseases to date. It is our goal to continue to innovate and improve the environment for vaccines across the globe. As part of our commitment to these goals, we are working tirelessly to raise awareness of high risk diseases that can be vaccinated against." Highlighting the serious danger that rotavirus can have on the lives of Egyptian infants, Dr. Hamed El Khayat, Professor of Pediatrics and Honorary President of the Arabian International Society of Gastroenterology and Nutrition, said "Incidence of rotavirus in Egypt, already stands at 14% , with studies showing that risk of rotavirus diarrhea, is highest amongst babies between 6 to 11 months old; around 50% of Egyptian infants in this age group will suffer from at least one diarrheal episode, before 12 months." Dr. El Khayat, went on to add, "Rotavirus is a highly contagious orofecal virus, reflected in the fact that since 2009, the WHO has recommended that the rotavirus vaccination be included in national epidemiology and immunization programs. The Severe diarrhea caused by Rotavirus is one of the leading causes of death in children under three years old in Egypt, and makes children under the age of two, vulnerable to extreme exhaustion as a result of dehydration.³ Despite the fact that there are vaccines on offer that offer protection against rotavirus, vaccination coverage amongst Egyptian children remains low. It is a travesty that children should ever have to die when there are medical solutions available to prevent this." Vaccines have had a profound impact on public health. They have helped to prevent more than 30 common infectious diseases and helped avert long-term disability and an estimated 2.5 million deaths a year . 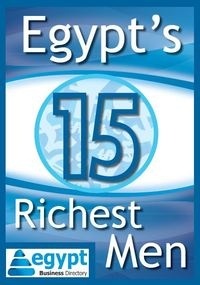 However, although there have been great successes with vaccination in Egypt many challenges remain.